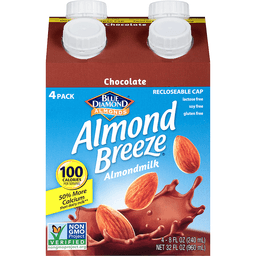 Egg & dairy free. No cholesterol. A gluten free food. 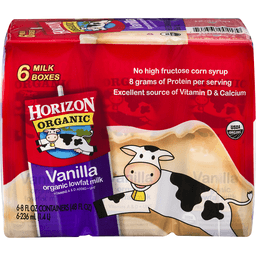 80 calories; 1 g sat fat (4% DV); 80 mg sodium (3% DV); 0 g sugars. Meets our genuinely natural strict principles. 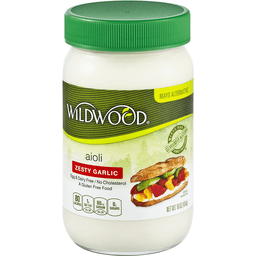 Wildwood Aioli is a delicious spread with all the richness and flavor of mayonnaise, but without the usual eggs, refined sugars, and preservatives. It contains no cholesterol. Zesty Garlic Aioli makes a savory marriage of earthy garlic and zesty lemon juice all the more enticing by melding it with the creamy, tangy flavor of traditional Mediterranean Aioli. Authentic wholesome foods. 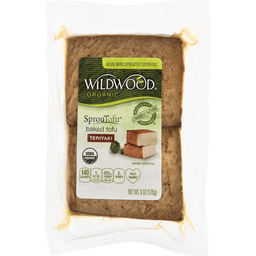 www.wildwoodfoods.com.